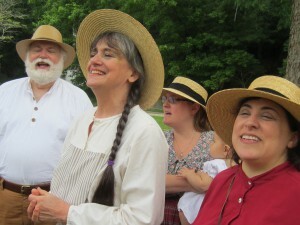 Washington Revels Maritime Voices celebrates the sea and the inland waterways of America— the men who worked the great sailing ships, the women who sustained the shore-side communities, and the men and women who lived and worked on the canals, lakes and rivers. 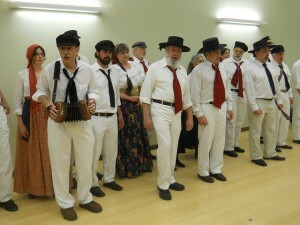 Formed in 2008, this group performs lively songs, instrumental music, dances, folk dramas, and other traditions of the 19th Century. 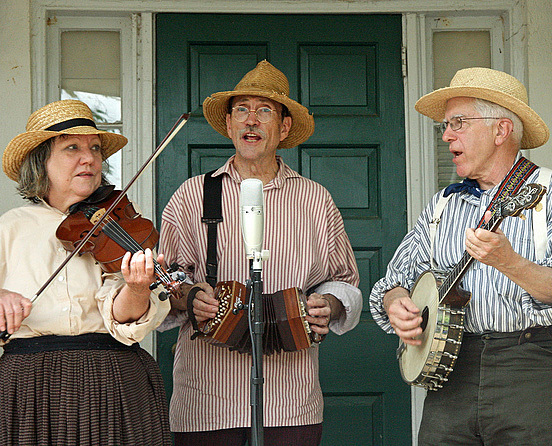 The group can perform in period dress and with period props, and explains the origin and historical context of the music it performs. 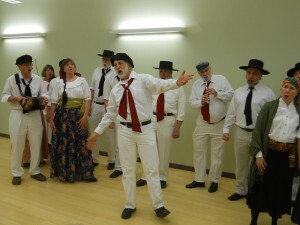 They can demonstrate life aboard the sailing ships, including how sea chanteys were used to help work the ship’s equipment; they can present life ashore, including the joys and hardships of the women of the ports. 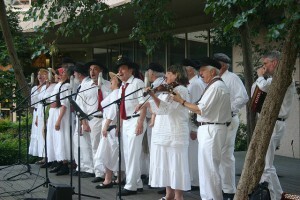 Annual appearances at the US Navy’s Blessing of the Fleets ceremony at the US Navy Memorial and Naval Heritage Center; events sponsored by the National Park Service at Great Falls Park on the C&O Canal; the annual Capital Maritime Music Fest; “Sailabration” and “Star-Spangled Spectacular” festivals at Baltimore Inner Harbor; the Alexandria Waterfront Festival; National Harbor; The Smithsonian’s Natural History Museum and National Museum of American History; The Corcoran Gallery of Art; the National Geographic Museum; the Washington Folk Festival; the Takoma Park Folk Festival; the Magical Montgomery Festival; and community events across the greater Baltimore-Washington area. Maritime Voices happily adapts the length, content and style of its performances to fit the occasion, the venue and the desires of its program sponsors. Sea chanteys—work songs created by ordinary seamen to accompany various specific tasks—are an important record of life on board ships. 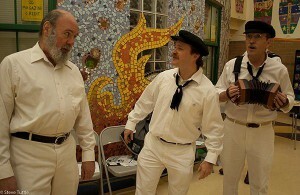 Some were sung to the loading of the cargo, like “Pay Me My Money Down.” Others, such as “Away Rio,” “Haul Away Joe,” and “Leave Her, Johnny” accompanied the sailors’ work on board ship. In each case, the tempo and the texture of the song matched the natural rhythm and feel of the work at hand. 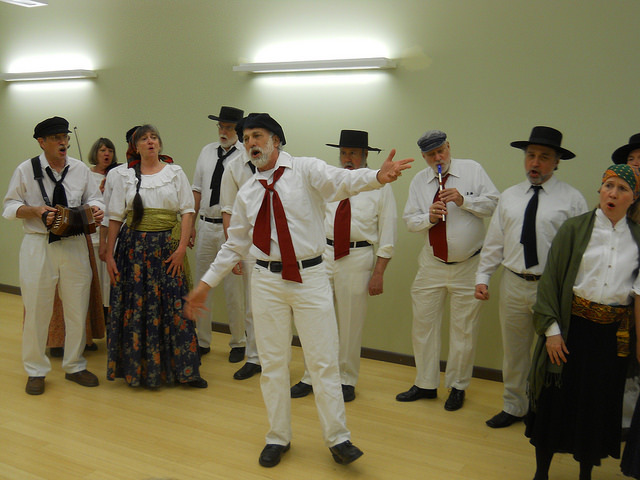 In addition to the chanteys, other songs provide a glimpse into the life of both sailors and the landlubbers with whom they came in contact. Many sailors’ songs describe life on board ship-the pitiful pay, the miserable food, and the hard work-while others complain about the bartenders, merchants, and wily women who took advantage of the just-paid young men who came ashore after a long voyage. 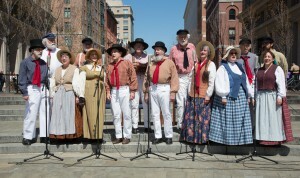 Maritime Voices performs annually at the Blessing of the Fleets at the US Navy Memorial. 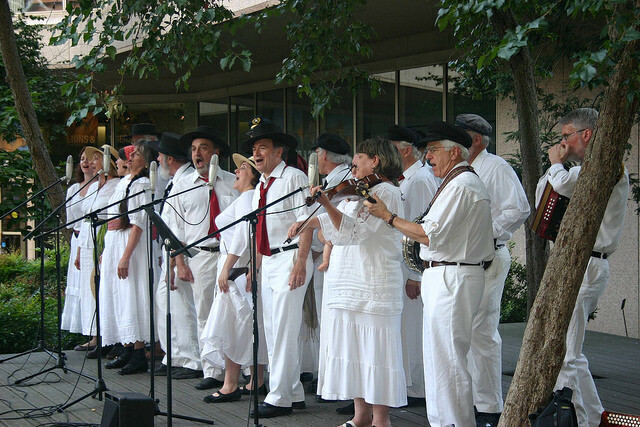 Maritime Voices performing at National Geographic opening of “Pirate Ship Whydah” exhibit. Maritime Voices performing a house concert at Washington Revels. 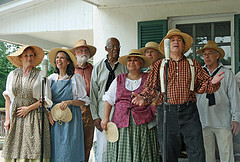 Maritime Voices performs annually at the C&O Canal. 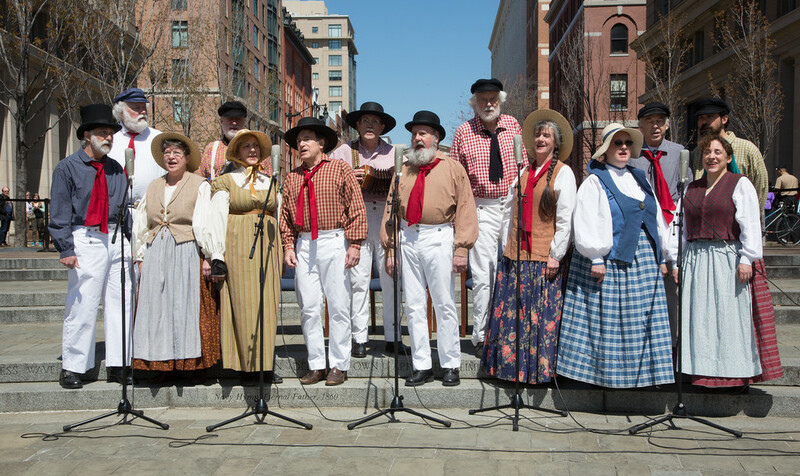 For more information about Washington Revels Maritime Voices, and to explore hosting a performance at your site, contact Ross Wixon at rwixon@revelsdc.org or 301-830-4402.